Hilton Als writes about painter Alice Neel. Alice Neel, Uptown, curated by Hilton Als, will be on view at David Zwirner Gallery, New York from February 23, - April 22, 2017. 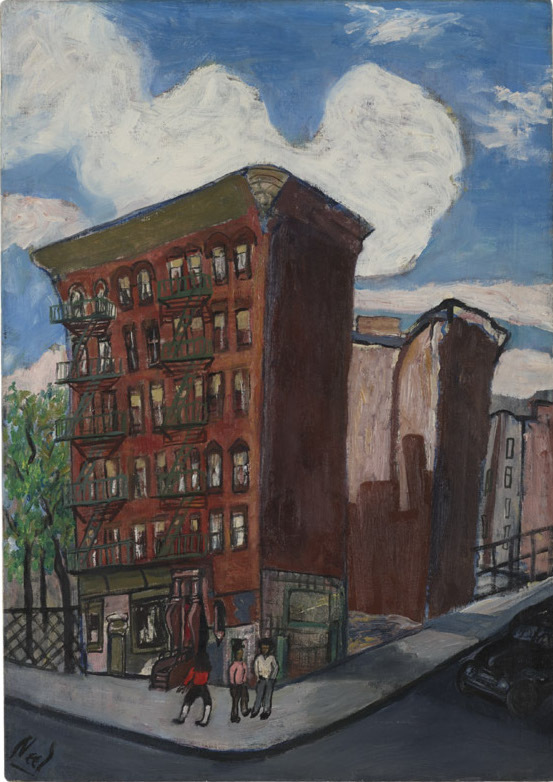 Als observes: "I am certain that Alice Neel, more than many an American artist, had a deep understanding of affliction. She did not use her work to escape it, but rather to plunge further into it—into the trauma of being despised, or forsaken. Indeed, if she had any credo as an artist, it was to show us ourselves, and herself, even when (or especially when) it was dangerous and hard to do so. Neel lived through two world wars, the Korean War, and the Vietnam War; she saw dictators rise and fall, and empires clash with their colonies. She knew that the first mark of being political was looking: seeing what was done to others in this world, and how the afflicted became afflicted, or what nowadays we might call the disenfranchised."